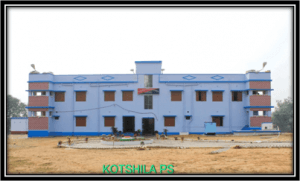 Kotshila PS is located at 23°24'10.40" N and 86° 4'9.80" E and 35 Km. South West from District HQ. 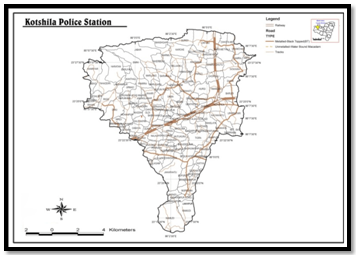 Kotshila Police Station has a jurisdiction over an area of 284 Sq. Km. Population is 1,48,042 out of which 75,537 male and 72,505 female. Sub-Division: Purulia Sadar (West). Number of Gram Panchayats: 09. Inter-State Borders: 25.48 Kms. with (a) Joridih PS of Bokaro District of Jharkhand. Inter-District Borders: With Joypur, Arsha, Jhalda and Bagmundi PSs of Purulia district. Number of Blocks Covered: 01. Primary Livelihood: Cultivation. Economic Status: Backward.